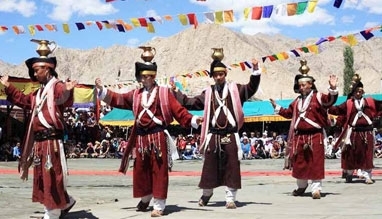 The Yuru Kabgyat is a two day long festival which is held with tremendous zeal and enthusiasm at Lamayuru, located 127 kilometer from Leh. 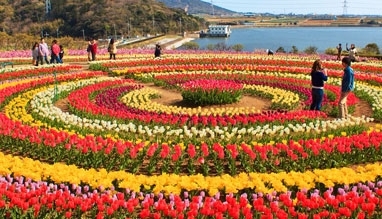 This festival is attended by numerous people from abroad. 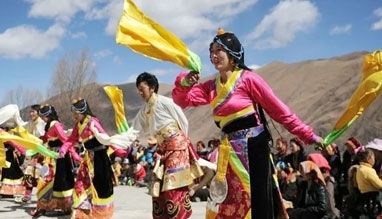 The Buddhists come from various countries like China, Japan, Tibet and Korea and attend the festival of Yuru Kabgyat at Leh. 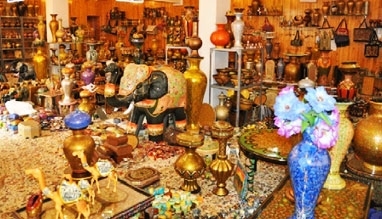 It is a festival that is celebrated with tremendous pomp and enthusiasm. 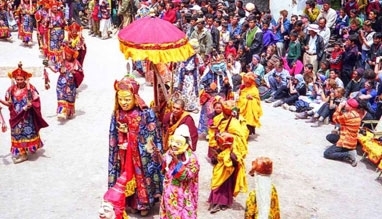 Colorfully dressed Buddhist Monks throng the Leh Valley and participate in the dance drama. 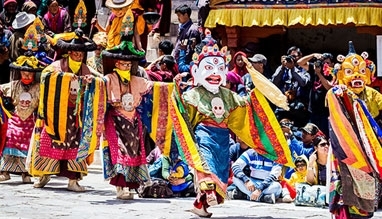 Mask dances are a part and parcel of the Buddhist festivals especially the Mahayana tradition which still exists in Bhutan. 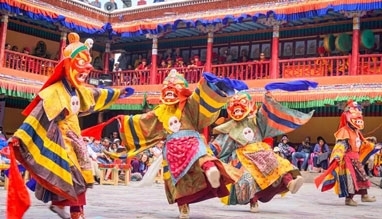 As part of the holy scripts, the masked dance of the Buddhists dates back to the 8th century when the Chham Dance was first performed. 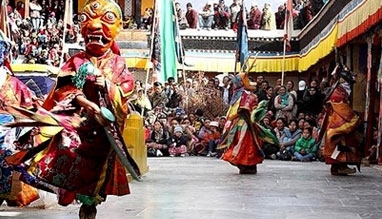 Participation by the monks at Lahul, Spiti, Ladakh and Kinnaur made the masked dance drama a jolly experience. 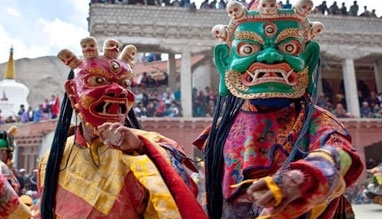 The main objective behind this masked dance drama is to appease the deity. 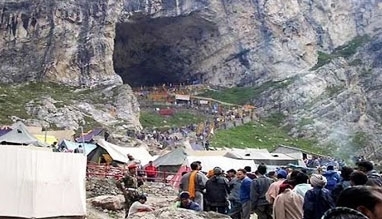 It is also performed in order to drive off the evil spirits and protect the people from the deadly natural calamities, epidemics and also to ensure health and hygiene for the people. 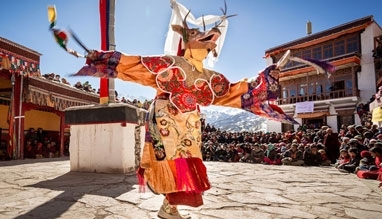 The Yuru Kabgyat dance consists of Chhams in which the Lamas dance in the form of circles with large colorful masks. This circular movement is often accompanied by drum beats, long pipes and cymbals. The masks are usually made from paper mache and there is also a thin coat of plaster enveloping it. The main figures portrayed are the Yama or the Lord of Death and Padmasambhava or the second Buddha who is also known to be the God of Wealth. He is regarded as a protector of horses and animals including human race. 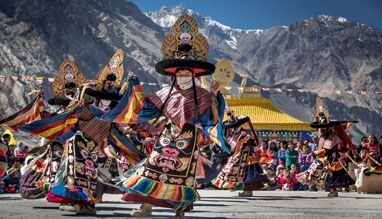 At Lamayuru in Leh, this dance is a renowned dance drama which is held every year during the Yuru Kabgyat festival, (held around July –August.) This dance drama concludes with sacrificial offerings. 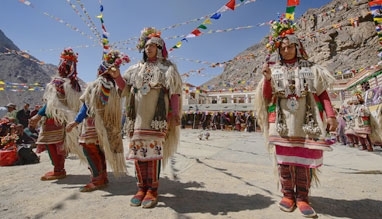 The Yuru Kabgyat Festival is usually held during July-August.